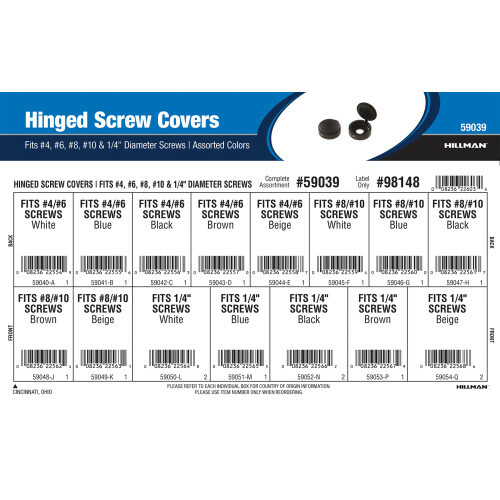 An assortment of hinged screw covers in various colors from The Hillman Group. Screw covers are used to conceal round, pan, truss, and other flat-bottomed" screw head types. The base of the hinge fits under the screw head and the cover snaps on top. Full assortment contains fifteen (15) refills comprised of Hillman item numbers 59040 thru 59054.